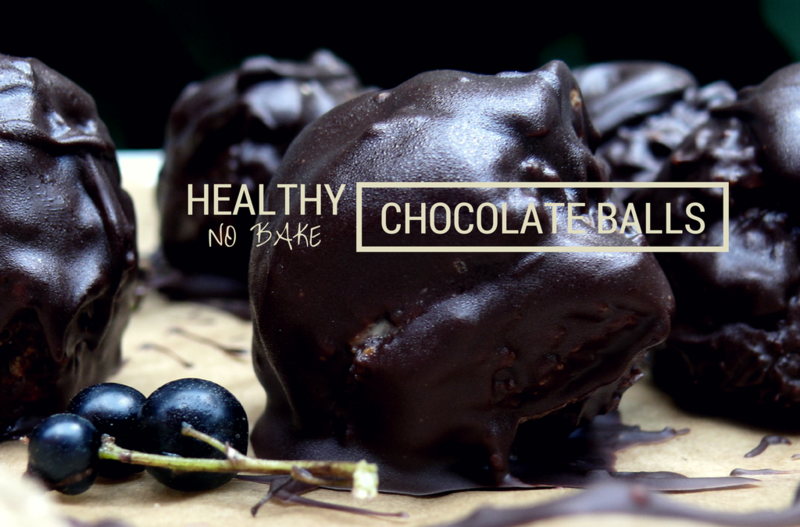 As a kid, I used to make chocolate balls all the time. Sometimes I would skip some steps and just eat directly out of the bowl. Now I have an almost three year old daughter that I have tried to shield from cakes and sugar as much as I can. Up until now it has been fairly easy as she hasn’t been very interested in neither cookies nor cakes. That is up until recently! Now I don´t want to be an evil rule setting mother so instead I simply try to adapt my recipes to be as healthy as possible. I believe that children will find ways to eat a lot more of something if they are told they can’t have it at home. So back to the story, if there is no escape from cakes and cookies, I can at least try to make them with less or without sugar. 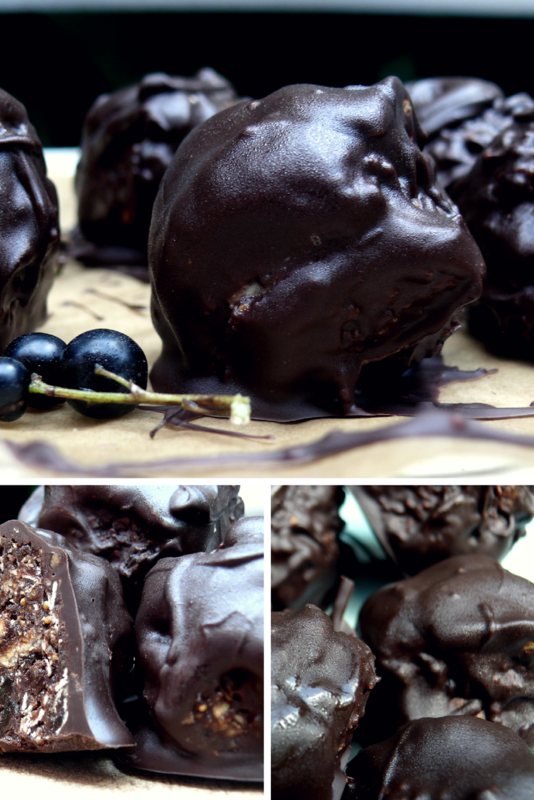 Introducing re-made classical swedish chocolate balls with dried figs and raisins instead of white sugar. They are delicious and more importantly my daughter loves them. When preparing them for kids I choose to leave out the coffee and dip them in coconut flakes instead (making them more child friendly). Drain the figs for a few minutes in water. Melt the dark chocolate slowly in a microwave. Mix together the oats, (coffee) and cocoa powder in a bowl with your hands or a spoon. Mix the figs and raisins in a food processor until smooth. You probably have to scrape the mixture with a spoon a couple of times or it will get stuck. Add the cold butter, the cacao powder and the oat mix and knead with your own bare hands until everything is well blended. Roll the mixture into small to medium sized balls. Dip the balls in the melted chocolate (or coconut flakes) and leave them to solidify on a plate covered with a piece of parchment paper in the fridge.